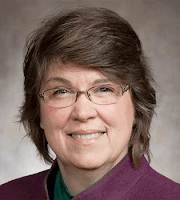 Kathleen Vinehout is running a robust grassroots campaign to put People First in Wisconsin. People organizing in their communities and talking to friends and neighbors will be how we win this election. Interested progressives and supporters of Kathleen Vinehout for Governor will join campaign staff to learn about Kathleen's vision and discuss strategies to grow the campaign - grow the Vine - in Northwest Wisconsin. To RSVP, please contact Carlene at carlene@kathleenvinehout.org or 608-513-7655. Please note: The Democratic Party of Barron County is not endorsing any candidate before the primary. We gladly promote local events for all Democratic campaigns.